My first editing project! 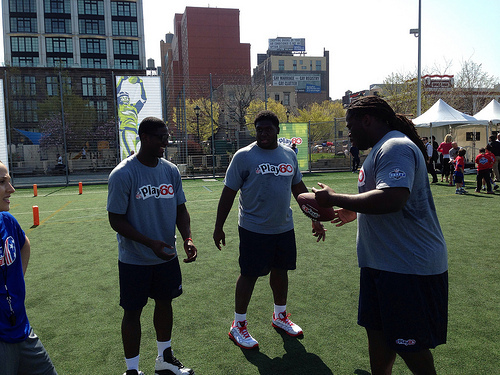 Last week’s NFL Play 60 event from the NFL Draft media day. 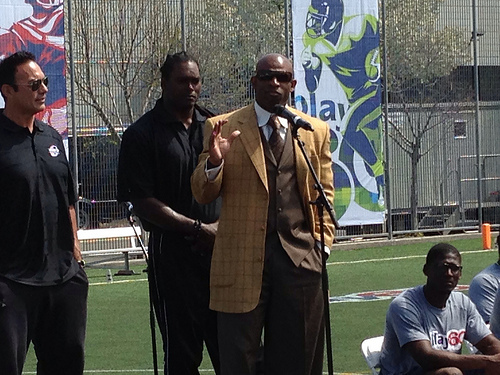 A great event at Chelsea Waterside Park that was attended by NFL Commissioner Roger Goodell, NFL Network’s Steve Mariucci, and former Dallas Cowboys Lavar Arington, Tony Casillas, and “Prime Time” Deion Sanders. All the top Draft prospects shared their time with the kids for a wonderful event. 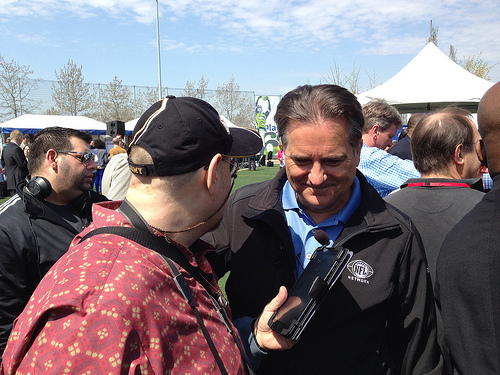 We get up close with Steve Mariucci, The Miami Dolphin‘s pick Deion Jordon, St. Louis Rams pick Tavon Martin, and the New York Jets pick Geno Smith. Also a few words from Prime Time himself, Deion Sanders.